Shadows at the door is a new site that publishes original horror fiction on their site as well as audio productions. 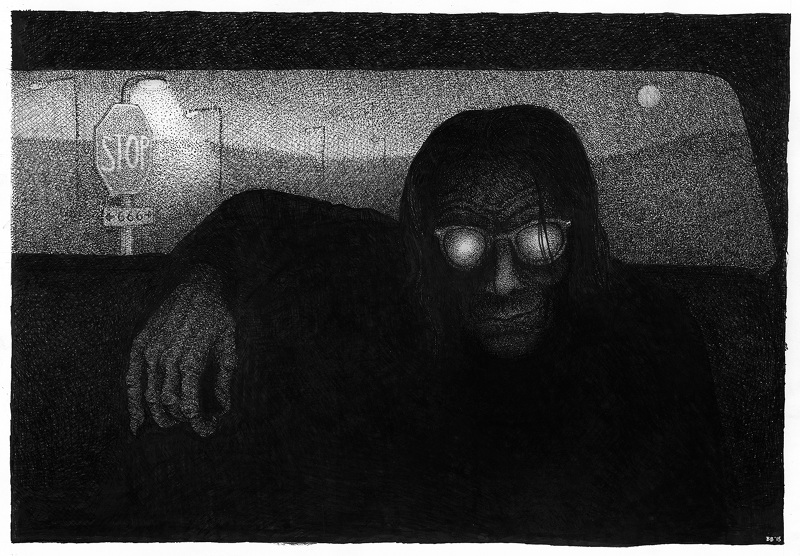 Their stories are also accompanied by beautifully macabre illustrations by London artist Barney Bodoano. I thoroughly recommend taking a look at this great site and all their stories, podcasts and articles are free to read online. My latest story, Earthly Joy, is about a man who comes to in the middle of nowhere, he has no idea how he got there or where he's going but inside there's a desperate instinct for survival. He comes across a house which stirs his memory, he knows it is a bad place but he must enter if he is to save himself.